These are AUDIO presentations by all the presenters at the 1979 U.S. Psychotronics Association. These are available for purchase in downloadable zip files and are in MP3 audio format. These audio presentations are listed in alphabetical order by LAST NAME. Tom Bearden – Ph.D., nuclear engineer, retired Lieutenant Colonel (U.S. Army), CEO of CTEC, Inc., Director of the Association of Distinguished American Scientists, and Fellow Emeritus of the Alpha Foundation’s Institute for Advanced Study. Tom is a theoretical conceptualist active in the study of scalar electromagnetics, advanced electrodynamics, unified field theory, KGB energetics weapons and phenomena, free energy systems, electromagnetic healing via the unified field action of extended Sachs-Evans electrodynamics, and human development. Particularly known for his work establishing a theory of overunity electrical power systems, scalar electromagnetic weapons, energetics weapons, and the use of time-as-energy in both power systems and the mind-body interaction. 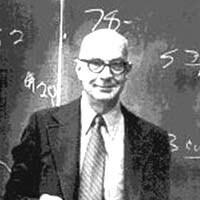 Bob Beck was a physicist, holding a Ph.D in physics from the University of Southern California. He was also previously a Professor at the University of California. He is a researcher and inventor who likes to improve upon other people’s inventions. His version of the Brain Tuner has been used successfully to alleviate insomnia, depression, anxiety and addictions. He is also the inventor of the strobe flash light. He has been nominated by a Mexican hospital for the Noble Prize for his research in developing an aids cure. He believed that he would not receive the prize, which he did not, because he is not a “team player” in the organized health field. Leading Edge Newspaper publishers Kenneth and Dee Burke interviewed Bob Beck at the Global Sciences Congress in Denver, Colorado, where cutting-edge, innovative information continues to be presented year after year. 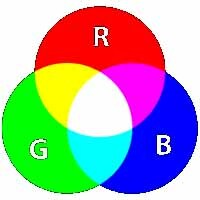 Robert “Bob” Beutlich, (1923 – 2009) A truly ‘Renaissance’ man of many colors, attributes, talents, interests. 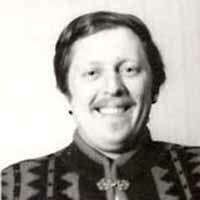 He was a founding member of the United States Psychotronics Association from 1975 to 2009. He served as the conference organizer and Secretary-Treasurer from 1981-2007. Bob’s engineering background gave him the science direction he used as a researcher/practitioner/teacher of Radionics. He loved teaching young people and developed a class with his son to teach them “Strange Physics.” Bob Beutlich, graduated from Broadcasting school, via the GI bill, after WWII. Bob was an engineer in broadcasting, with great experience in both electrical and mechanical engineering. He experienced dowsing in the 1950’s and picked up two books in the 60’s called “psychic discoveries behind the Iron Curtain” and “Unusual Energies” beginning a 45 year search for answers. Like all scientific studies he came up with more and more questions. 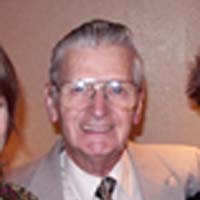 He taught meditation, studied the Kabala, the i-Ching, the Reciprocal theory of Space time, Bob taught many Radionics classes, repaired radionics instruments and helped support and run the USPA for 33 years. Christopher Bird, is a writer who came into the biocommunications field while researching a biographical study of the late Dr. Wilhelm Reich. After receiving his B.A. in Biology at Harvard University (1951) and a Certificate in Chinese at Yale University (1950) he completed the course work for an M.A. in Anthropology at the University of Hawaii (1957). He is currently a candidate for the Ph..D. degree in Russian Area Studies at American University. After his military service, he became Washington Representative for the Rand Development Corporation of Cleveland, Ohio, whose president, Dr. H. J. Rand, was one of the first to undertake private negotiations with the Soviet Union for the purchase of technical devices and information. Fluent in French and Russian, Mr. Bird has been an editor of the Gallatin Annual of International Business and a correspondent for Time Magazine in Yugoslavia. 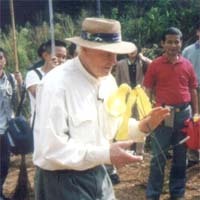 Bill Cox, (whose friend and mentor was the late Verne L. Cameron) has been an instructor, professional dowsing consultant and avid researcher of the marginal sciences for over forty years. A major field of experience and investigation has been in the area of Dowsing (Radiesthesia). 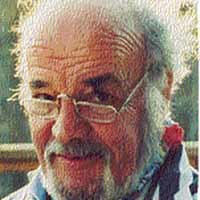 Bill is the author of a number of books and articles on Dowsing and the ancient, rediscovered science of Form Energy. Other past activities include Charter member, Secretary of the U.S. Psychotronics Association from 1974-1978 and Honary Advisor and featured author to Akademia Okamoto (Alternative Technology Studies and Research) in Japan. 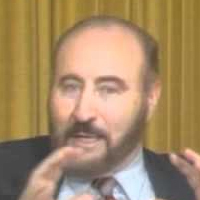 Jerry G. Gallimore (1940 – 1989) as an active researcher from Indianapolis, Indiana. He believed that the known energy forms, including etheric energy are real and have been lost to society in our headlong rush to develop expedient, non-renewable energy forms. His view was that present-day science has discarded these unusual energy forms as being unworthy of investigation. In his various books J.G. has proven that this position is erroneous and has demonstrated that the various unusual energy sources are both valid and promising for future application. Rose Gladden, with whom we did many demonstrations had unshakeable patterns that could be shown on the Mind Mirror in front of hundreds of people or before television cameras. These demonstrations were never set up beforehand; Rose would choose someone from the audience as a patient who, she said, had “a black cloud over their head”, someone she perceived to be in need. This usually meant anxiety for us because the person chosen would often show very minimal response and asymmetric patterns at the beginning of the demonstration. We should have had more faith because Rose, we discovered, would choose only someone she felt she could help – and the change of the patient’s response on the Mind Mirror confirmed this. The Mind Mirror was a specialized EEG designed to monitor the brainwave patterns of healers and the like. Rose Gladden & Ruth S. Harvey, Ruth Harvey as a young woman had a dream that someday she would be working with electrical machines used in healing. By 1982, she was demonstrating and distributing a remarkable device called the Alpha-Stim 2000. 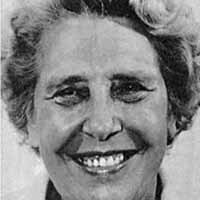 In Body Electric, Dr. Robert Becker wrote; “There’s reason to believe that gifted healers generate supportive electromagnetic effects which they convey to their patients.” When he wrote that, he was not aware that Ruth Harvey had measured just such a capability with a close friend, the late English healer Rose Gladden. Before Rose started to perform a healing, Ruth took a microcurrent measurement with the Alpha-Stim on a place on the patient’s body. Then Rose placed her hands on that area of the patient. After she had finished her healing, Ruth took another measurement on the same spot. The original reading had increased by 75%. Thomas Galen Hieronymus, (1895 – 1988) The first talks in our Radionics Thumbdrive 2015 was given by T. Galen Hieronymus at the USPA Conferences in 1979. His talks were entitled History of Radionics, Part 1 and Part 2. In these talks you have the opportunity to hear form the US scientist who received the first (and only) patent on a radionic instrument. He gives the History and scientific explanation of what he calls eloptic energy and how this science of the subtle came to be. 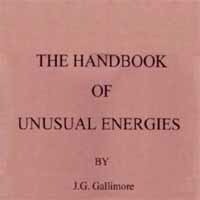 T. Galen Hieronymus was a pioneer of scalar energy research and development and his lifelong effort has served to introduce to mankind a seminal understanding of this fundamental force in nature. Hieronymus‘ insight as to the nature of scalar energy was so advanced that he was able to invent various scalar energy instruments that were able to assemble, disassemble as well as detect physical matter. Subsequently, Hieronymus coined the term, eloptic energy, in order to describe this hitherto, unrecognized force in nature. 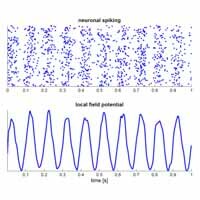 Peter Kelly was also active in the accumulation and dissemination of both the theoretical and applied knowledge needed to nurture and spread the field of Psychotronics. He was an active collaborator with such giants as T. Galen Hieronymus, Lt. 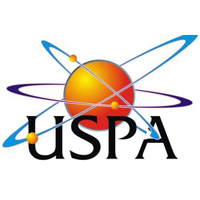 Colonel Tom Bearden, Robert Beck, and Robert Beutlich, among many, many others, and was one of the organizing members of the United States Psychotronics Association. 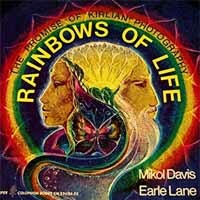 Earle Lane was a co-pioneer with Mikol Davis in the 1970’s in the development of the first Kirlian electrophotograpy devices. The Kirlian devices were used to photograph the electromagnetic fields around living things. It was used as a research tool to diagnose cancer and many other applications. Earle was from Chicago, moved to Berkeley in the sixties and worked for Fairchild semiconductor. He was good friend with Steve Wozniak. His background was in electrical engineering. Pierre Paul Sauvin was an electromechanical engineer and inventor who had worked in the aerospace industry for thirteen years before moving to the National Institute for Rehabilitation and Engineering at St. Joseph’s Hospital, Patterson, New Jersey. According to Mankind Research Unlimited materials, his research dealt with thought-controlled devices and psychokinetic switches. Although some claims about his devices indicate that this research was directed toward the development of prosthetic devices for the severely disabled, the military’s interest in a trigger which could be actuated by thinking the command to fire was obvious. 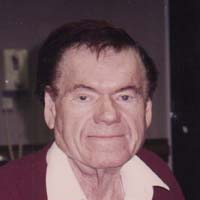 Charles Whitehouse, of Virginia Beach, noted for his use of color therapy helped many people free of charge, and especially helping mentally retarded children with color therapy and radionics. Hi color therapy was with U-shaped fluorescent tubes that put out all seven colors of the spectrum at once. He was a remarkable man who had his office filled with shelves and shelves of metaphysical books. Whitehouse was on the Board of Directors of the U.S. Psychotronics Assoc. and is an expert Radionics Operator. Even the U.S. Navy has purchased one of his radionics inventions for tracking submarines.